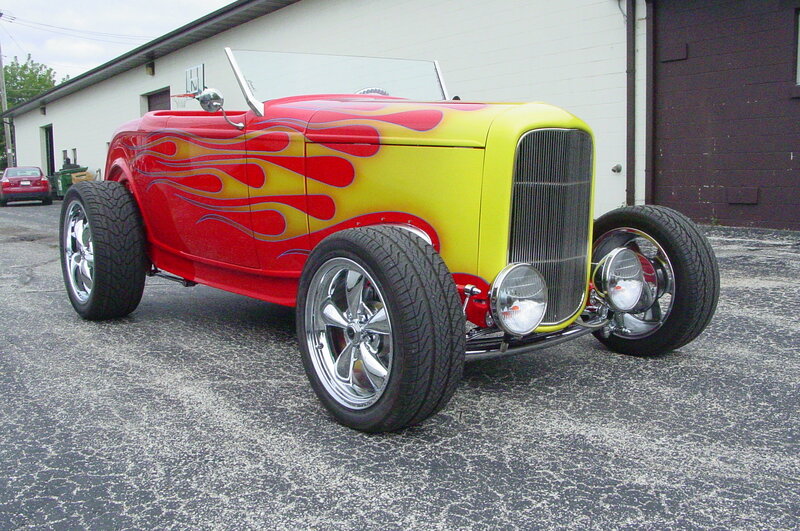 There may be no car more identifiable with Hot Rodding culture than the 1932 Ford. including a second place in the 2012 World of Wheels, Milwaukee, WI. There are several build pictures of the car in the garage section of this site. Transmission: Turbo 350 Trans w/remote mounted cooler and fan. Suspension: TCI frame, Super Bell front end, Coilovers and 4-link on a Ford 9” rear. Brakes: 4 wheel Wilwood disc brakes, polished calipers on front, red powder coated with inlay on rear. Custom mix red paint with flame job. Wet sanded to a mirror finish. Navigation: Are you kidding me??? Security: I will kick your a$$ if you touch my car!!!!! Other: N/A This special automobile is currently available for sale in our showroom and is also being advertised in other formats.